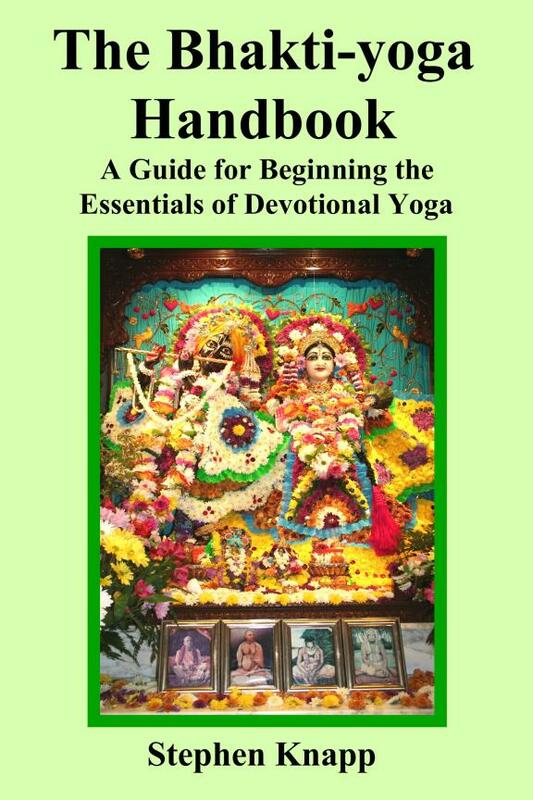 This book is a guide for anyone who wants to begin the practice of bhakti-yoga in a practical and effective way. This supplies the information, the principles, the regular activities or sadhana, and how to have the right attitude in applying ourselves to attain success on the path of bhakti-yoga, which is uniting with God through love and devotion. This outlines a general schedule for our daily spiritual activities and a typical morning program as found in most Krishna temples that are centered around devotional yoga. In this way, you will find the explanations on how to begin our day and set our mind, what meditations to do, which spiritual texts are best to study, and how we can make most everything we do as part of bhakti-yoga. All of these can be adjusted in a way that can be practiced and applied by anyone regardless of whether you are in a temple ashrama or in your own home or apartment. And the spiritual results you can expect to attain through this yoga. All of the basics and effective applications to get started and continue with your practice of bhakti-yoga are supplied so you can progress in a steady way, from beginner to advanced. This book is 278 pages, 6" x 9" trim size, $14.95, ISBN-13: 978-1490302287, ISBN-10: 149030228X. An Adobe PDF Ebook Edition of this book is available from www.Lulu.com for only $2.99.